Pre-Teens, Teens and Adults can take part in this hobby! Alternatively use a pool and a weather machine to freeze the pool to skate on it. 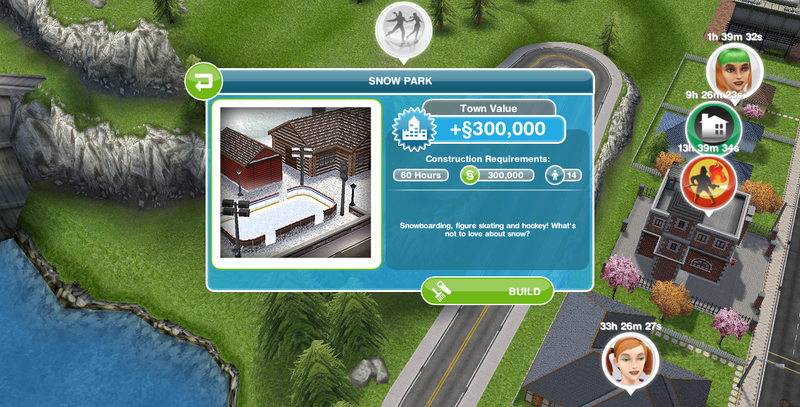 Next find a sim without hobbies and take him/her to the Snow Park. (If your sim has done another hobby he/she will lose all experience of that hobby!) Please note that the net is solely for ice hockey (not a hobby). 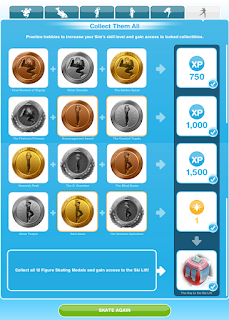 Pick one of the four actions and wait for the time to pass, you'll earn the indicated XP when it finishes as well as a medal. 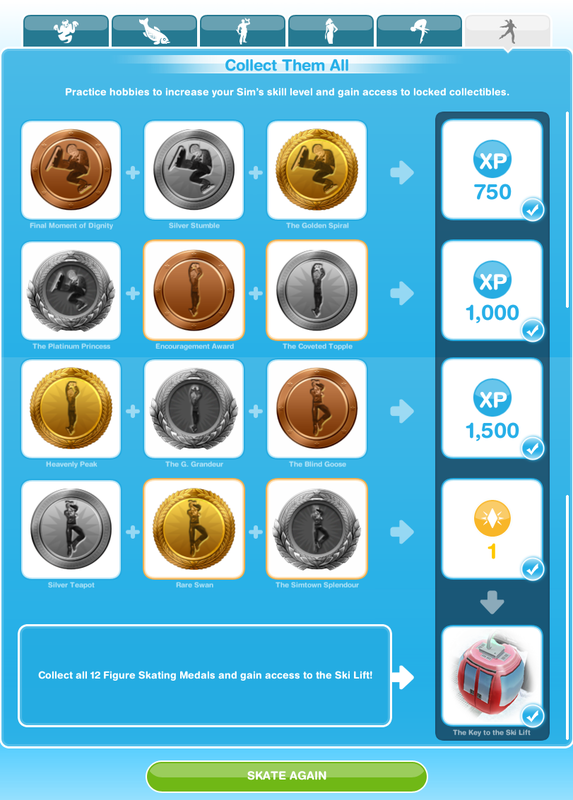 Please note: medals already collected will NOT yield the rewards again if filled in on the collectibles grid. 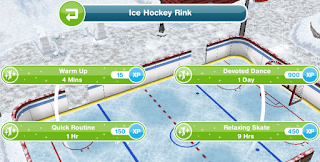 The first time unlocking all the collectibles for skating unlocks "Key to Ski Lift", the second time completing the collection unlocks "Figure Skating Outfit" which can be found in the "Fashion and Fancy Dress Store", (matching ear warmers in the "Create-a-Sim" menu (available through the wardrobe)). WARNING: Tapping "Skate Again" does NOT give you an option to cancel! Conclusion: Skating is for fun, not for profit.